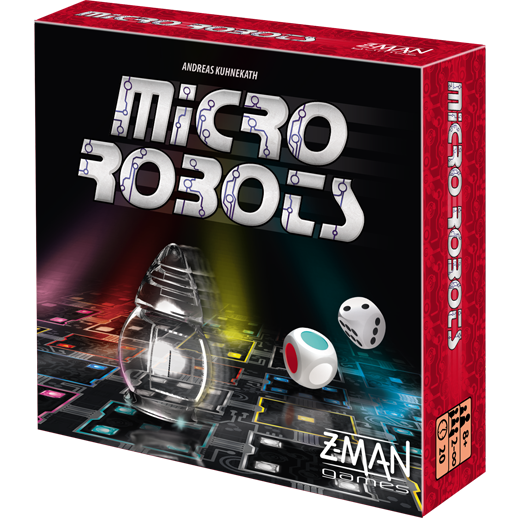 Send robots careening off the walls—and each other—as you maneuver them to their destinations. Warning! Warning! The central computer has failed. Only you can help the robots reach their destinations. Plan their trajectories as quickly as possible and optimize your moves before the other players find their own route. 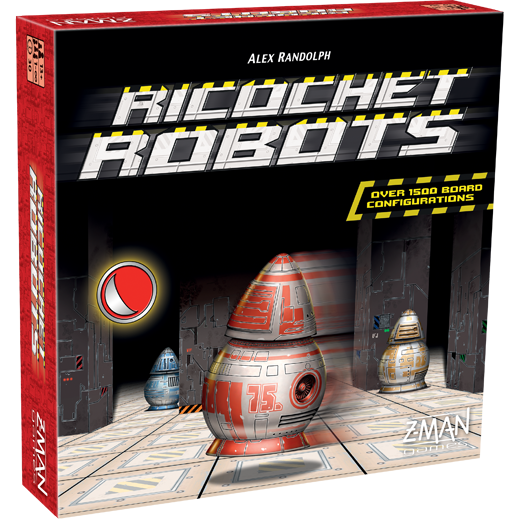 Ricochet Robots is a fast, frenzied game of guiding robots to their destinations. First published in 1999, the game's unique mixture of problem-solving and competition have turned it into a modern classic. 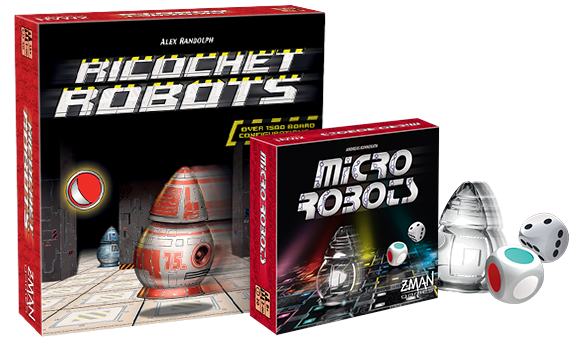 The Ricochet Robots line has since grown to include many boards and new robots that multiply the possibilities for each game.